This would’ve been perfect for your Fourth of July picnic! It’s pretty portable, all right, with that convenient carry handle. And the tough plastic case means it’s survive just about anything. 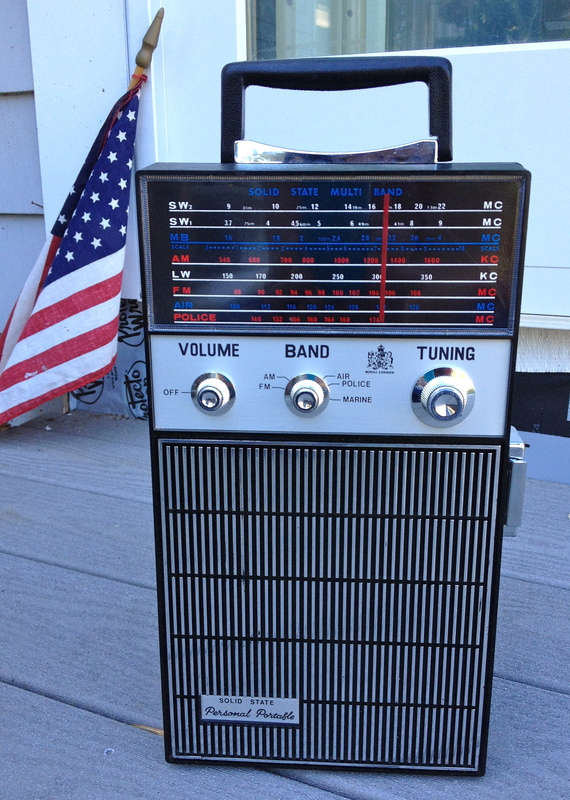 Nope, it’s not a radio! 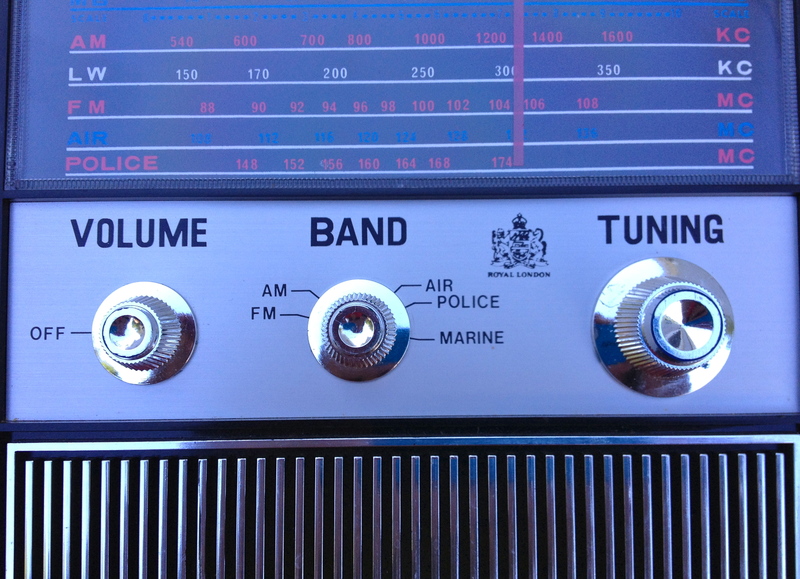 The knobs don’t turn and there are no electronics. 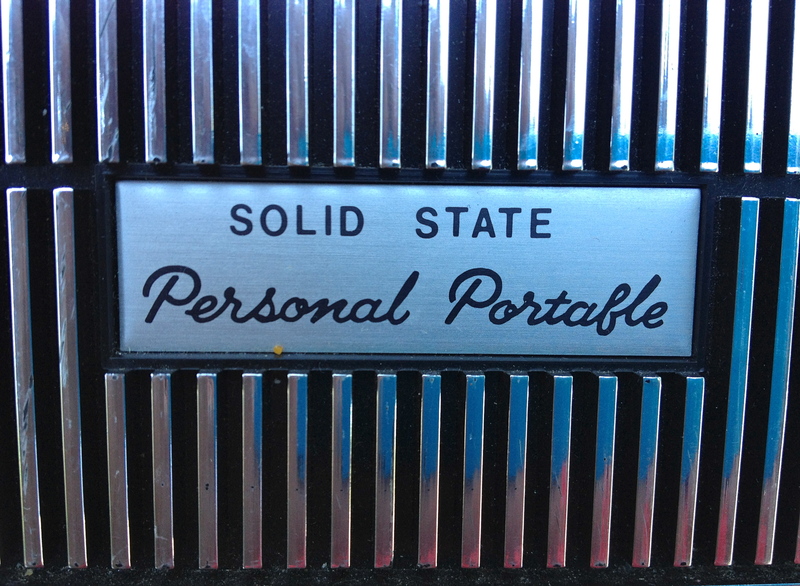 The active components are all . . . inside. Yes indeed, this is the guys’ way to have fun. 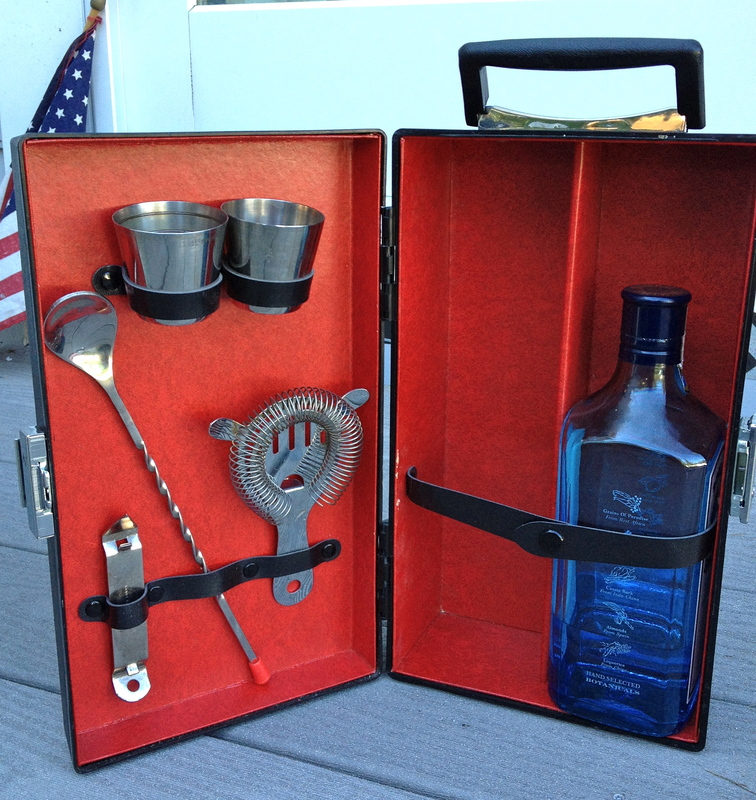 A couple of stainless steel jiggers, some mixing tools, plus space for two bottles of your favorite liquid. How cool is that? Doesn’t matter if the Sox win or not. 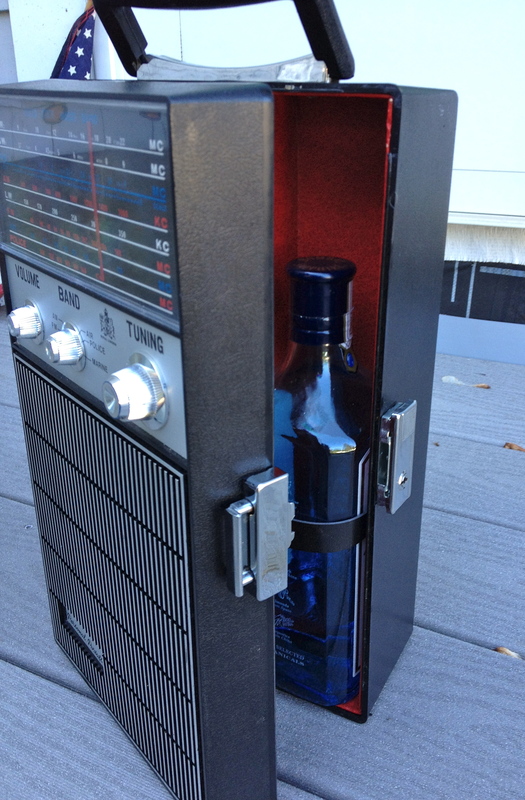 Although this portable bar was made in 1968, right after their 1967 “Impossible Dream” year, so hopes were riding pretty high then. I only know that ’cause I’m married to a native New Englander. And hey, look, somebody brought the guys’ party game, too! 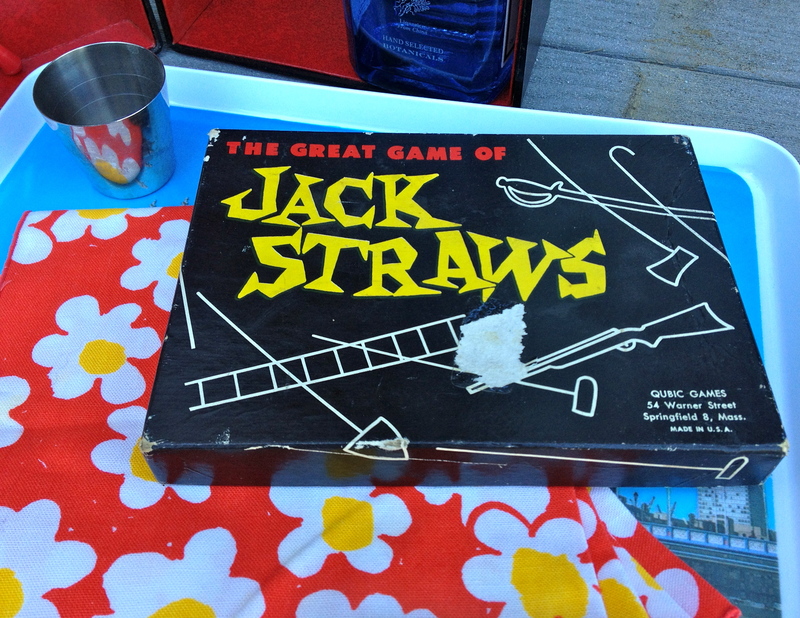 The Great Game of Jackstraws is a box of tiny plastic tools! 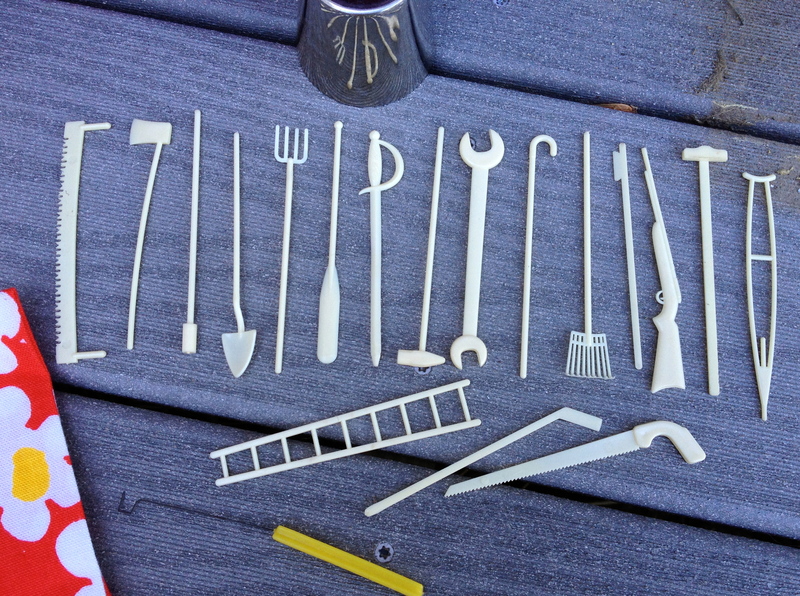 My favorite is the canoe paddle. Or maybe it’s the two-man saw. Or maybe it’s the long-handled spade. Or the hatchet. Heck, they’re all cute. 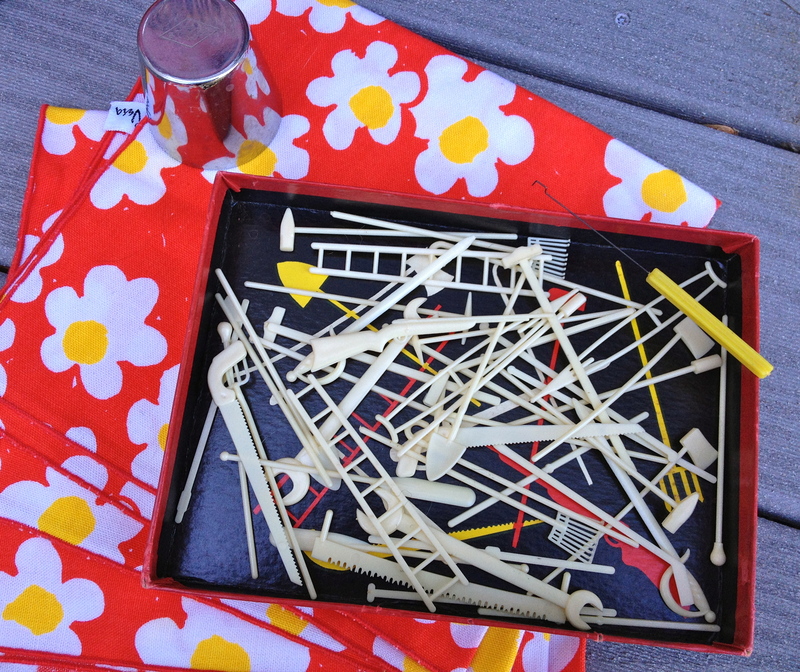 Do you think guys actually played this game in the ’50s? You might think that alcoholic libations and a game that requires an extremely steady hand don’t mix. And you would be right. Jumble ’em up, and may the best man win!